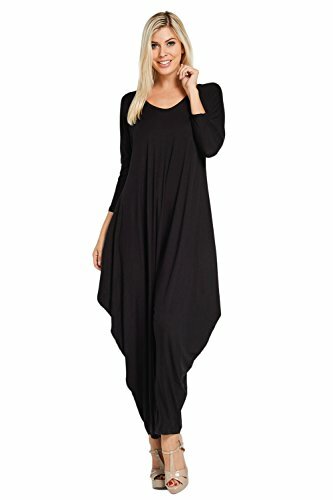 Size S (US size 0 - 4 )- Waist: 22"- 40", Hips = Up to 48" (122 cm), Length = 41" (104 cm) Size M (US size 6 - 10 )- Waist: 26"- 46", Hips = Up to 50" (127 cm), Length = 41" (104 cm) Size L (US size 12 - 16 )- Waist: 28"- 50", Hips = Up to 54" (137 cm), Length = 41" (104 cm) Size XL (US size 16 - 20 )- Waist: 32"- 54", Hips = Up to 56" (142 cm), Length = 41" (104 cm) Size XXL (US size 20 - 22 )- Waist: 36"- 58", Hips = Up to 58" (147 cm), Length = 41" (104 cm) These harem pants are very roomy, loose fitting and extremely comfortable. Elasticated both at the waist and ankle, with the crotch just below the knee. Because of the handmade nature of these pants, color may vary slightly and measurements are approximate. Annabelle is a leading fashion manufacturer specializing in young contemporary women's apparel.From everyday essentials to comfortable statement pieces - Annabelle provides the classic woman with a wardrobe she can flaunt as she walks out the door and confidently faces today's world.Designed and Made in USASize ChartJ8002Small Length 49" Waist 26" Sleeves 19.5" Shoulders 21"Medium Length 49.5 Waist 27" Sleeves 20" Shoulders 21.5"Large Length 50" Waist 27" Sleeves 20" Shoulders 22"
Annabelle is a leading fashion manufacturer specializing in young contemporary women's apparel. From everyday essentials to comfortable statement pieces - Annabelle provides the classic woman with a wardrobe she can flaunt as she walks out the door and confidently faces today's world.Designed and Made in USA J8004 Small Length 54" Waist 22.5" Inseam 22" Medium Length 54.5" Waist 23.5" Inseam 22.25" Large Length 55" Waist 24.5" Inseam 24.5" X-Large Length 55.5" Waist 25.5" Inseam 25.5" 2X-Large Length 56" Waist 26.5" Inseam 26.5" 3X-Large Length 56.5" Waist 27.5" Inseam 27.5"
This is the maxi version of our popular and versatile convertible harem pants and jumpsuit. Pockets down the side add style and utility. Wear as harem style trousers or as a comfy romper jumpsuit. A versatile outfit in lightweight cotton fabric that can easily be dressed up or down with flats or heels, accessorize with a belt. Stretchy waist so will fit size 4-18 and also popular as maternity wear. The Softest Most Comfortable Harem Pants Around! Perfect for lazy days at home, doing yoga/pilates or dancing at the next great music festival. 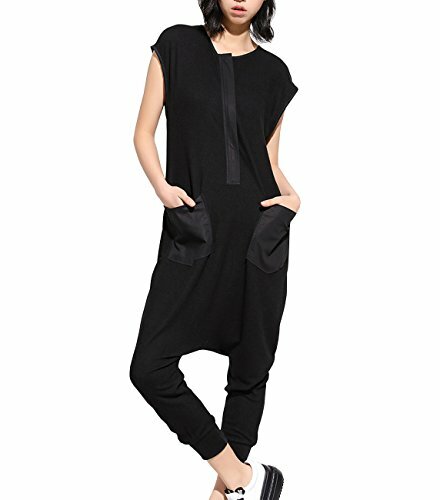 Convertible Jumpsuit These magical low cut harem pants can also easily be converted into a jumpsuit. These pants are basically two outfits in one! 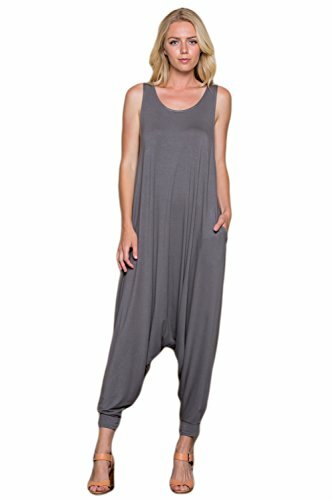 Sewn in straps, allow these Harem Pants to convert in to a super comfortable jumpsuit for Women. Gender Neutral The Harem Pants are great for Men & Women. Be warned, because these are so comfortable, your significant other will steal these from you! Measurements - Waist: 24" to 38" - Hips: up to 44" - Total length: 37" Garment Care Because they're made from the softest delicate Thai Rayon, hand washing is highly recommended to ensure their longevity. If hand washing is not your thing, it's best if you machine wash in cold water & hang dry. 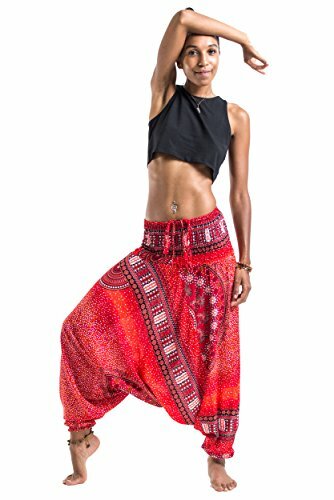 Add These Amazingly Comfortable Harem Pants to Your Shopping Cart Now! The brand ELLAZHU is owned by ELLAZHU's White House only. Each item contains a label 'ELLA' Please check the measurement chart carefully. Because of different producing batches, there might be a little deviation. 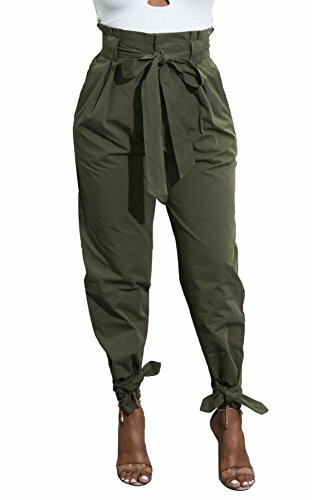 Looking for more Harem Pants Jumpsuit similar ideas? Try to explore these searches: Wavy Gravy, Slim Cigarette Case, and Womens Tan Shoes Heels. 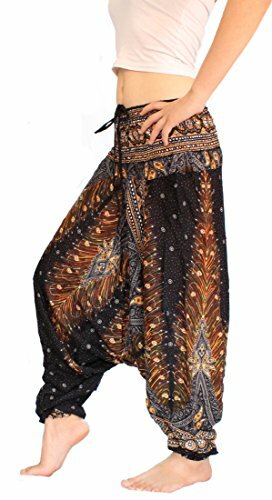 Look at latest related video about Harem Pants Jumpsuit. Shopwizion.com is the smartest way for online shopping: compare prices of leading online shops for best deals around the web. 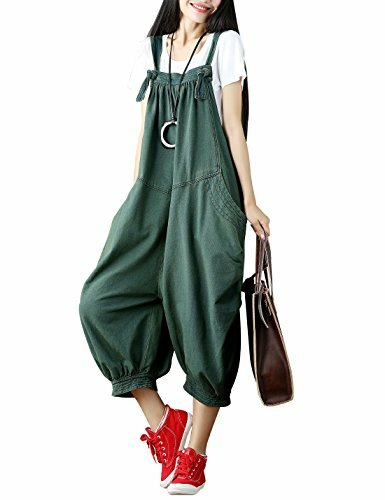 Don't miss TOP Harem Pants Jumpsuit deals, updated daily.